“The 3rd edition of the Germán Bernácer Prize has been awarded to Prof. Luigi Zingales (University of Chicago) for his important research on financial markets and fight of poverty”. 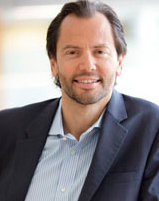 Luigi Zingales (Italy) is a finance professor at the University of Chicago Booth School of Business. His main field of study is business economics, with a heavy focus on organizations and entrepreneurship. He received his Bachelor Degree in Economics from Bocconi University and in 1992 he got his PhD in Economics at Massachusetts Institute of Technology (MIT). He also serves as a member of the Committee on Capital Markets Regulation and he is currently a faculty research fellow for the National Bureau of Economic Research, a research fellow for the Center for Economic Policy Research, and a fellow of the European Governance Institute. In 2012, he was named by Foreign Policy magazine to its list of FP Top 100 Global Thinkers, "for reminding us what conservative economics used to look like." He has published widely cited papers in leading journals like American Economic Review, Journal of Finance, Journal of Public Economics, Journal of Financial Economics, Quarterly Journal of Economics, etc. The award ceremony took place in Madrid on April 19th, 2004. This ceremony was preceded by the lecture of Prof. Lucas Papademos: "Policy-making in EMU: strategy, rules and discretion".